they produce over 10,000 robots making other robots. The Koko robot is like a human arm. with accuracy with tiny fractions and repeat the process over and over. the robot can change its jobs from welding to painting and arms to a screw driver different jobs but the only think they can’t do is to think for them selves. They are programmed to do the same movements . 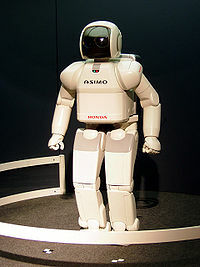 Koko robots make cars in less than five minutes and of course robots are only as smart as the humans that make them. That leaves the humans far more advanced than them. This entry was posted in blog, postive thoughts, SEARCH and tagged Building, Companies, History, Human, Industrial, Research, Robot, Robotics. Bookmark the permalink.